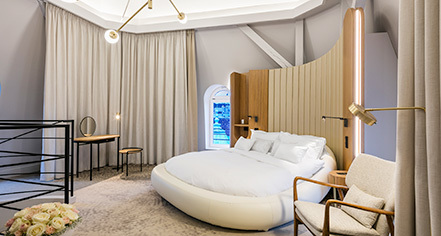 Guests will find that the accommodations at the Century Old Town Prague - MGallery by Sofitel are a relaxing retreat within the bustling heart of the city of Prague. The hotel’s 169 newly renovated guestrooms and suites are decorated in soft hues of creams, golds, blues, greens, and yellows, which make the rooms both warm and bright. Each room features references to Bohemian author Franz Kafka that can be seen throughout the color scheme, custom artwork, and bath tiling. In addition to references of Kafka, guests will see that the design has been heavily influenced by the 19th century Cubism art movement and Art Deco style. 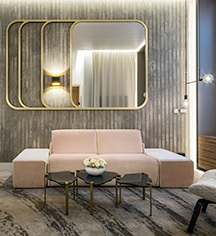 All rooms boast luxurious amenities such as MyBed Sofitel mattresses, Lanvin bath products, lounging bathrobes, and slippers. Rollaways, baby beds, and accessible rooms are available upon request.